"I cannot . . . solve the problem of life by losing myself in the problem of art." 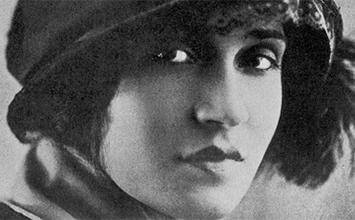 Tina Modotti was a captivating personality from whom creativity effortlessly flowed. She was destined to be at the center of important historical change, not only as a photographer, but also as a sought-after model, a famous film actress, and a key political activist. It has been said that her career divides neatly in two, the first half inspired in particular by her relationship with the American photographer Edward Weston and their shared exploration of Straight Photography. The latter half of Modotti's oeuvre - apparently by contrast - is considered dominated by the artist's love for Mexico and the growth of her passionate Communist beliefs. However, on close inspection it seems more accurate to assert that all of Modotti's recurring interests - in the floral, repeated pattern, the depiction of the working classes, and of indigenous culture - were animated having left Europe and America, and bare homage to Mexico. Unlike other photographers who retreated into pure aesthetics during times of conflict, Modotti threw herself head first into contemporary politics and into real, often dangerous action; hers was a total and highly intellectually charged art that unfortunately dwindled in production as she was summoned to protest. Comparable to other iconic Straight Photographers of her generation, Modotti's pictures privilege sharp and highly defined close-ups, and reveal an inexhaustible interest in underlying geometrical pattern, both manmade and present in nature. In this respect, her body of work is as notable and seminal to the movement as the likes of images made by Paul Strand, and Ansel Adams, and Edward Weston. Perhaps in some respects more in tune with the ideology of the Hungarian-American photographer, Laszlo Moholy-Nagy, Modotti was more liberal and defiant of photographic convention than some of her contemporaries working with the new medium. She often used the technique of cropping, and was more experimental in her choice of perspective than other Straight Photographers. As such her body of work is also interesting when aligned with the movement of Surrealism. Modotti's recurring interest in the subject of flowers and in still-life likens her career to those of Imogen Cunningham, Georgia O'Keeffe, and Frida Kahlo. The flower for all of these women was a subtle assertion of female sexuality, and not only a nod to the theme of mortality and the transience and fleeting nature of life, but also paradoxically an attempt to capture life and give it duration beyond its natural cycle. Both Modotti and Kahlo successfully subverted the seemingly innocent motif of still-life as means to convey powerful and revolutionary messages. As well as being a practicing artist, Modotti was also an active political activist, possibly even a Soviet spy (bearing witness to political crimes and an assassination). Ultimately she was deported from Mexico labeled as an enemy of the state, and in this respect, unlike her fellow artists, had in many ways sacrificed her art in the name of her political beliefs and the fight for Communism. 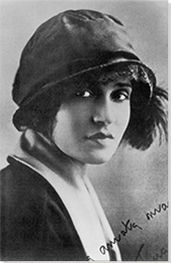 Tina Modotti was born Assunta Adelaide Luigia Modotti Mondini, and given the nickname Assuntina, a diminutive of her mother's name, later shortened to Tina. She was the third of six children born to Giuseppe Modotti and Assunta Mondini, and the family lived in the Northeastern Italian town of Udine, at the base of the Austrian Alps. Although the historic town of Udine was prosperous and in general politically conservative, the working classes tended toward Socialism and political activism. Modotti's father was among those influenced by such activism; he often attended demonstrations and meetings, including the May Day demonstrations that took place every year. The family moved, and Modotti spent much of her childhood living in Austria, where her father worked as a mason, and her mother stayed home with the children working as a seamstress to generate additional income. In 1905, the family returned to Udine and Modotti left school to work in a textile factory. Although she seems to have had little exposure to art as a child, her uncle Pietro Modotti did run a successful photography studio (and school), where she may have worked as a teenager. Interactive chart with Tina Modotti's main influences, and the people and ideas that the artist influenced in turn.